It's no surprise that Hideo Kojima, maker of games about people, giant robots and war would like a new summer blockbuster about people, giant robots and monsters. (Hey, two out of three...) It is nevertheless refreshing to see how gleeful the Metal Gear mastermind is about next week's Guillermo Del Toro action flick, Pacific Rim. Because this is the year 2013, Kojima has given his appraisal of Pacific Rim via Twitter. Dear twitter friends, The followings are my comment regarding "Pacific Rim". Luckily I was allowed to tweet in public by WB. they all truly exist in the screen. 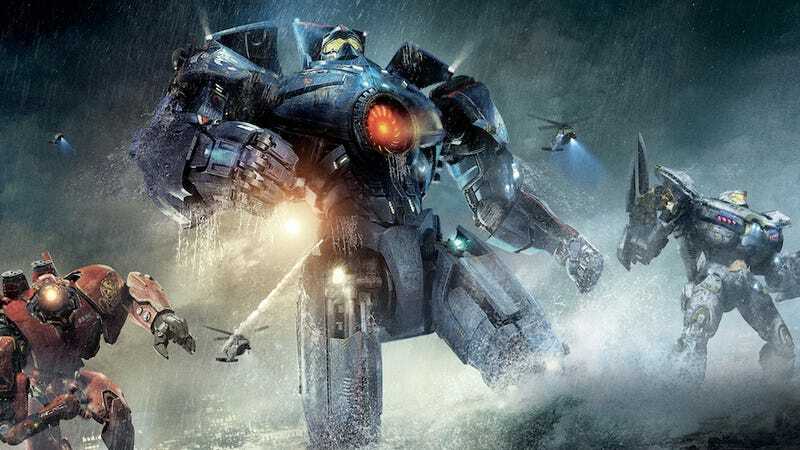 Director Guillermo del Toro offers this spectacular vision of massive kaijus and robots in PACIFIC RIM. I hope you would accept this inspirational love letter that had traveled across the Pacific, written by Director Guillermo del Toro. And if you don't want to take Kojima's word for it, heres the word of that of the expert of things that are the greatest of all time, Kanye West.